Dr. Lydia Folger Fowler was a pioneering American physician, the second woman in America to earn a medical degree, the first American-born woman to receive an American medical degree and and the first woman professor at an American medical school. Her many-faceted career was spent in medicine, lecturing, writing, and activist for women’s rights. 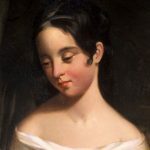 Lydia Folger was born on Nantucket, Massachusetts May 5, 1822 to Gideon and Eunice Macy Folger, a historic Massachusetts family descended from Benjamin Franklin, and her famous cousins – women’s rights activist Lucretia Mott and astronomer Maria Mitchell. Lydia grew up on Nantucket and was educated in the local schools, and Wheaton Seminary in Norton, Massachusetts, where she taught from 1842 to 1844. On September 19, 1844, Folger married Lorenzo Niles Fowler, a leading American phrenologist – one who studies the shape and size of the skull to determine a person’s character and mental abilities. Phrenology is based on the assumption that character, thoughts and emotions are located in specific parts of the brain. It was very popular in the 19th century. Fowler reportedly examined the heads of many distinguished men, among them Charles Dickens, Edgar Allan Poe. Their letters and journals reveal that the Fowlers were a loving, compatible couple, working side by side in an arena of mutual respect and devotion to their professions. The couple had three daughters, two of whom died young. Their third daughter, Jessie Allen Fowler, was born sixteen years after Lydia and Lorenzo were married. Jessie never married, and dedicated her life to carrying on her father’s work in phrenology. Long before she received her degree in medicine, Lydia Folger Fowler was known and respected as a lecturer and writer on anatomy, hygiene and physiology. She traveled extensively with her husband to address large audiences of women who came to learn about hygiene and child care. Bathing was not yet a regular part of daily life and most people were unaware of the benefits of soap and water in the prevention of disease. Through these activities, the Fowlers created a virtual business empire in which Lydia took an active part. In 1847 the family publishing house of Fowler and Wells released two books written by Lydia for young readers, Familiar Lessons on Physiology and Familiar Lessons on Phrenology. These volumes were reprinted several times, as was her 1848 book, Familiar Lessons on Astronomy. As her influence and reputation increased, Fowler decided to attend medical school, but there were none open to women at that time. Elizabeth Blackwell had graduated from Geneva (New York) Medical College in 1849, but the publicity generated by this controversial event caused the college to reject all other female applicants. Central Medical College in New York was the only school to offer admission to women, but it was an eclectic medical school, which was not fully recognized by the mainstream medical community. Regular medicine at the time made extensive use of purges with calomel and other mercury-based remedies, as well as extensive bloodletting. Eclectic medicine was a direct reaction to those barbaric practices. Eclectic medicine was a branch of medicine which made use of botanical remedies and physical therapy practices. It was an extension of early American herbal medicine traditions and Native American medicine. Eclectic medicine expanded during the 1840s as part of an anti-regular medical movement in North America, which chose to train doctors in physiology and more conventional principles, along with botanical medicine. 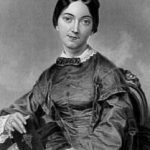 In 1849 Fowler enrolled in the Central Medical College in Syracuse, New York, one of eight women entering the first coed medical school in the country. The school soon moved to Rochester, New York. During her second term, she also served as principal of the Female Department. Fowler was awarded an M.D. degree on June 5, 1850, becoming the second woman to graduate from an American medical college and the first American-born woman to to earn a medical degree (Blackwell was born in England). In 1851 Fowler was appointed professor of midwifery and diseases of women and children at the college, becoming the first woman professor at a professional American medical school, but the school closed in 1852. 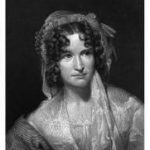 She then opened an office on Broadway in New York City, where she specialized in the health of women and children, and continued to write and lecture on hygiene, nutrition, physiology and phrenology, accompanying her husband on a tour of western cities. Fowler also championed the opening of the medical profession to women, and became active in the temperance and women’s rights movements. Fowler served as secretary at several women rights conventions, where she attracted the admiration of Elizabeth Cady Stanton, who later dedicated The History of Woman Suffrage (1881) to Fowler, among others. In August 1860 the Fowlers embarked on a two-year tour through Great Britain, lecturing in Liverpool, Newcastle, Perth and Edinburgh. 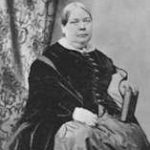 Following a visit to Italy, she spent the winter of 1860-61 studying medicine in Paris. Returning to England, Dr. Fowler took charge of all obstetric cases in London’s Marylebone Road Hospital for three months. After returning to New York in 1862, she became an instructor in clinical midwifery at the New York Hygeio-Therapeutic College in New York City. In 1863 Dr. Fowler and her husband moved to London permanently. Lorenzo founded the Fowler Institute in London, giving instruction on phrenology and readings and character analysis, but his main business was producing high quality porcelain phrenological busts. No human being should be so dependent upon another that the termination of the life of one should terminate the sustenance necessary to the life of the other, unless it be in the case of children and parents; for God has given to every thinking human being some gift or power that can be developed for his or her own benefit and for the good of society. During this period she was a prolific author, publishing a variety of titles, including a temperance novel, Nora: The Lost and Redeemed; lectures: How to talk the Tongue and the Language of Nature; How to Preserve the Skin and Increase Personal Beauty; How, When, and Where to Sleep; The Brain and Nervous System: How to secure their Healthy Action; The Eye and Ear, and How to Preserve Them; and How to Secure a Healthy Spine and Vigorous Muscles. In 1870 both Lydia Folger Fowler and Elizabeth Blackwell were living and working in London. Dr. Fowler was serving poor women in the slums of England and Ireland. During these busy days she delivered babies, taught and lectured, and wrote with tireless effort. She devoted countless hours to promoting the regular bathing of infants to prevent disease and to provide a sense of comfort and well being. For thirty years she devoted her time, her vision, and her energy to the service and advancement of her fellow human beings. Shortly before her death, she estimated that she had lectured to and taught nearly a quarter of a million American and European women. While she was working with the poor and needy women and children of the slums, Dr. Fowler contracted blood poisoning (caused by the presence of bacteria in the bloodstream). During an illness that lasted nine weeks, her vital organs gradually surrendered to this condition. 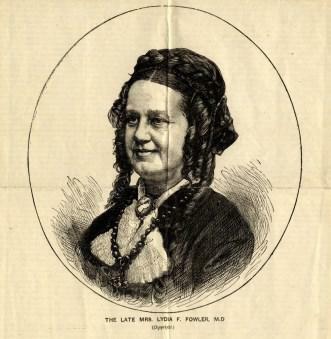 Lydia Folger Fowler died January 26, 1879 of pleuropneumonia at the age of 56. She was buried in Plot 23701 at London’s Highgate Cemetery.